Go on try something new – a festival or camping? 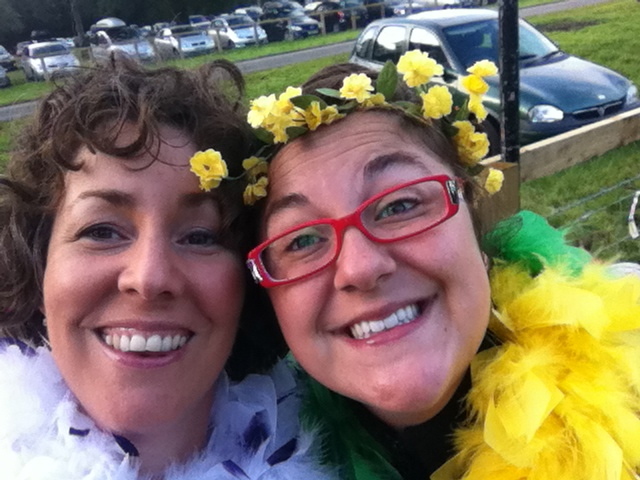 Life’s still hard with the recession and we all need some fun and adventure in our lives, so for this month’s Lifestyle feature over on Radio Verulam with the lovely Danny smith on his Drivetime show, I talked about festivals and camping. I first decided to got to a festival when Little Dimples was 18months (two years ago) and Curly Headed Boy was 5. I’d NEVER been to a festival and felt a bit mortified by it. I decided if we started now with the kids, they might TAKE ME when they go to Glastonbury in 15yrs time! Since then I’ve actually become a fan of camping too. 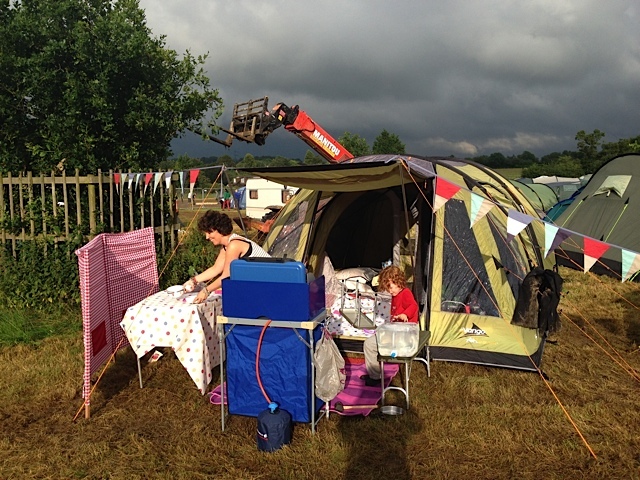 We started glamping, but due to the cost my practical side chose camping with a touch of glamp last year. Music is good for the soul, it feeds our spirit and gives us a much needed lift. One thing you can be sure about is that the quality of the music will be MUCH better than anything you see on Xfactor. It’s great for kids because they learn to sit and listen to music, and the festivals I go to they tend to get to chill, run around and dance. If you go to a family festival there will be all sorts of lovely things for the kids to do as well. CHB says that a 3day festival is like going on holiday for 10days! If you are brave enough to go for several days and try camping it is even better. There is something about camping and it’s closeness to nature which is relaxing and healing at the same time. 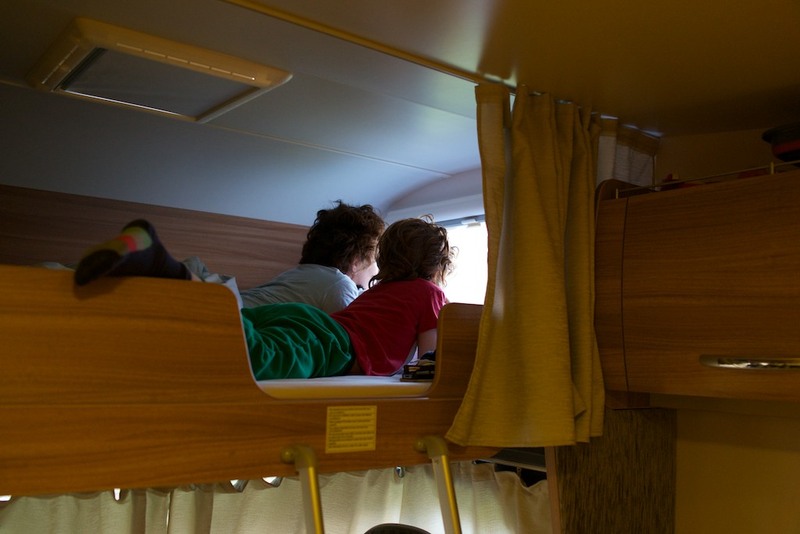 We tried a motorhome at the beginning of this year, but despite being more practical it just didn’t have the same benefits for me. I know it can be intimidating, so I’ve put together my top tips for you to get you inspired to go! The biggest reason to go is if you haven’t done it before, then NOW is the time to try it. Be ADVENTUROUS. Make memories to look back on and say ‘I did that’! The key is not to go to Glastonbury on your first year (although they do have a family area)! Go for small ones (5000 and under). Look for local one day festivals so that you don’t have to camp. St Albans Folk Festival Sorry I didn’t manage to publish in time – (22-23rd June) – terrible website btw guys! Here is a fab way of hearing all their artists on a sound cloud. Celtic Harmony do a Beltane (See my video review here) and Samhain Festival each year. Plus we had loads of fun at Hoo Bookfest, so I really recommend that for next year. You are never too old for a feather bower or hair garland! Plan ahead so that you know what is on BUT also go with the flow as it can be too stressful to keep to a schedule. Explain to your kids about safety, and make sure that you have one of those wristbands with your mobile number on it. Or this weekend at Britmumslive I was given a Kattoo which looks brilliant (tattoo for your mobile no). Bring Ear defenders for the kids and a picnic blanket to sit on. It really helps your sense of safety if you go to a family festival. 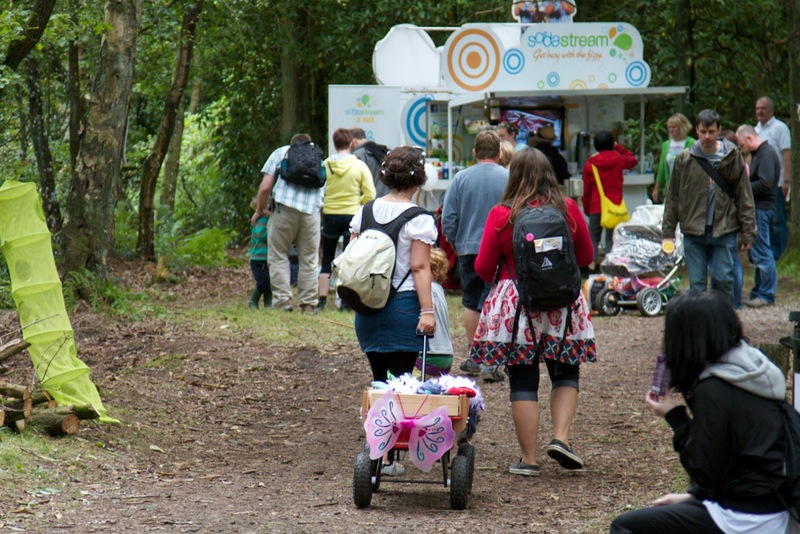 Lollibop – This is a London festival with a big kids TV orientation. I’ve never been, but I’ve heard that it is great. It would probably be a bit too commercial for me. Camp Bestival – This is in Dorset and looks to me to be incredibly well organised. Again there is a bit of a Cbeebies theme going on. It feels to me like they try to make sure that all the practicalities that a ‘middle class’ family would worry about are covered. Just So – This is a magical, more artsy festival with a hugely magical vibe. Here’s my mammoth review from 2012 (same location as this year, so you might like last year’s planning post too) and my review from 2011. Festival style from the back! Remember this is all part of the adventure! We went to the Penn Festival (eighties music) last year, which was more of a mudfest. The kids LOVED it. All you need to make sure is that they are covered from head to toe in water proofs. We also had a small pop up tent, that we used near the stage. Bring lots of layers so that you can take stuff on and off. What to wear – Leggings or skinny jeans are the easiest, with a pretty dress or long top over them. No heals, instead go for daps/wellies. A flower garland is essential (BE BRAVE!). Check out my what to wear to festivals post with lots of ideas for you and links to my Pinterest boards. I don’t like the ones with lots of things to spend money on like the Herts County Show, buy, or things that kids will want to do that cost a fortune; so we tend to avoid those ones. What you can also do is give the kids a budget, so that they know they just have £x and that is all. Food can be expensive, so make sure you take water, squash, snacks and fruit. Check if breakfast is provided if you are camping otherwise brioche is fab. Actually again because I go to small ones or family ones they aren’t too bad. But always take LOO PAPER and anti-bacterial spray. Some actually have great showers BUT you can get away with a day of showering with wet wipes (it’s not as bad as it sounds!). Take ear plugs (just incase you are near someone having too much fun or kids that wont sleep), a wooly hat, socks, and extra jumper for night time. Bring something to put mudding shoes in, so that they don’t come in the tent. If there are just a couple of you then you can get a festival kit ever so cheaply with everything that you need. There is nothing wrong with going for ‘cheap’ shops like argos etc. If you have a little more money to spend then check out the pop up tents (a bit tricky to put away) or the Vango blow up tent we have. The best beds are the mats that puff up; air beds are actually cold. Here is my ultimate camping list (you don’t need it all!). Forestry Commission – I’m an ambassador for the FC and was gutted to realise too late that they do concerts. How gorgeous to see someone like Olly Murs AND be in a forest. Go on, try it. It’s fun. It’s simple. It’s pretty cheap in comparison to a package holiday. And you’ll have something to tell your grandchildren that will give them the impression that you didn’t wash up all day long! Have you started camping in the last few years? What do you reckon? Have I inspired you to try a festival this year? My Big Secret Project Is ……. @Claire you are quite right – I didn’t pop it in here, but it is in my ‘ultimate list for camping’ that I linked to. I found an even better one the other day, which was almost like a proper loo! Thanks for the information about Lollibop. I don’t fancy Wilderness as it is much bigger – I wouldn’t be happy going to that size of festival as a first timer. Maybe in a couple of years! Great post. I love to see someone else trying to convert the masses! We’ve done loads of festivals with kids and you are completely right. Keep it small and local for an easy way to start. Just made it back from Glastonbury with the kids again. Amazing time but not for the faint hearted! Oooh you are brave @afieldsomewhere! I’ll pop over and check your post in the next couple of days. Great post Lisa, I have never considered attending a festival with my son before but it looks like it could be really fun!